This workshop is focused on the study and performance of 14th and 15th century sources. The repertoire that suits the different instruments of the collection is extensive, diverse and vibrant. It covers a period from the 12th to the 17th century. The workshop is mainly focused on the study and performance of 14th- and 15th-century sources that contain the oldest repertoires actually written for keyboard instruments. Among these sources we find the Robertsbridge Codex (14th c.), which contains the oldest tablature for keyboard; the Reina Codex (14th c.), and the Faenza Codex and Buxheimer Organbook (15th c.). The pieces from these manuscripts can be performed with the medieval table organ, the gothic organ and the portative organ. - learn to control the bellows of the instruments. There is also the option, upon request, of working on 16th-century organ repertoires with the Italian table renaissance organ, or to explore music from the 12th- to the 14th-centuries with the portative organs. The workshop provides a concise overview on various tuning techniques. Every historical musical style corresponds to specific instruments. 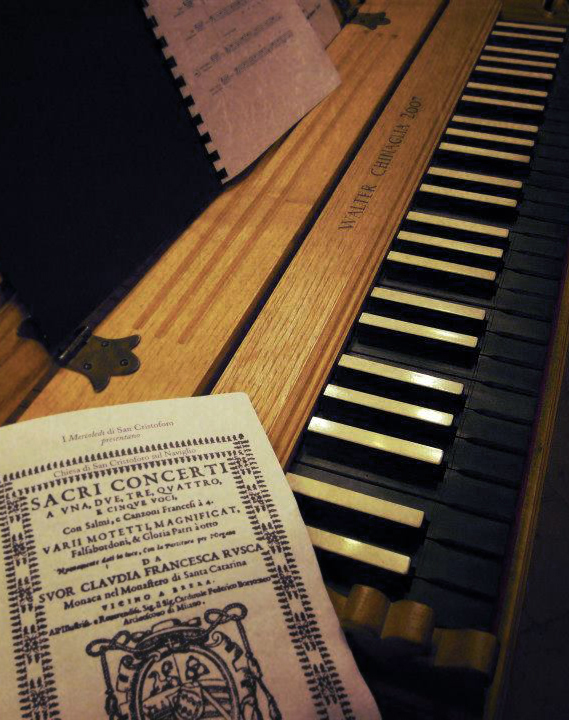 In order to understand and play early music, the repertoire can't be separated from the proper temperament. This workshop is dedicated to provide a clear and synthetic overview on tuning systems considering simultaneously the historical evolution (from Greece to the modernity) and mathematical analysis. It will help you develop the ability to tune instruments without any electronic device. the workshop participants will tune various organs, create different historical temperaments (pythagorean, pythgorean after De Zwolle, meantone, equal temperaments...) and finally play and analyse pieces of the repertoire. 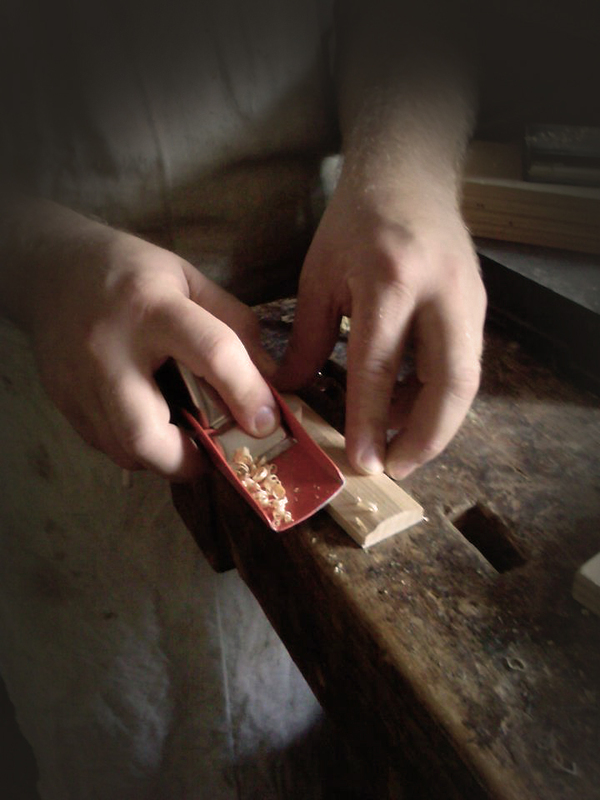 The aim of this workshop is to learn how to design and build a small organ. 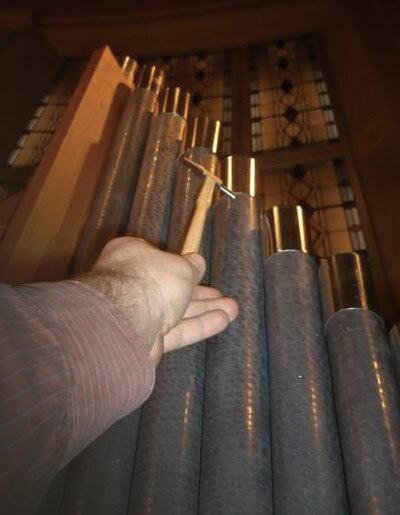 With his ORGANA collection, Walter Chinaglia is able to offer a unique workshop, providing an overview over historical organ building techniques. The workshop's aim is to learn how to design and build small organs. Proper style, right technical principles, historical sources and original organs are fundamental elements of the course. Several topics like carpentry, metallurgy and wood working techniques will be covered. A part of the workshop is dedicated to pipe dimensions and scaling. Insights into voicing techniques will also be provided, for both metal and wooden pipes.